All users see products differently. Some want them to work in some ways, while others want them to function differently. Some people want to save time, others want to save money, and everyone wants to save both if possible. 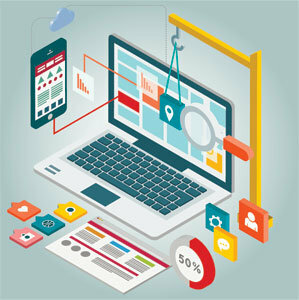 Implement these six tips to allow your customers to have a customized user experience. You don’t need to support every language on the globe, but if you do have support for multiple languages then allow the user to pick which one they want. Don’t force the user to automatically use a specific language based on their location. It’s not only due to localization concerns but those on vacation or using VPNs to mask their current location. Let the user choose and seek assistance from a website designer if you need help. Allow users to choose between at least two different themes; one should use light colors and the other dark. The choice gives visitors the ability to choose the look that strains their eyes the least. This is usually something to do if you have a site that requires a lot of reading. If you have a lot of content to browse through, let your users choose how they want to view it. Options can include by ratings, price, popularity, or alphabetically. It makes the site easier to use, and visitors find what they want faster, increasing customer satisfaction over other sites. This might not be a top concern for most companies, but those that want to do business internationally should utilize a currency converter. This makes it easier for the user to know how much something costs without needing to leave the site for accurate conversion. Look for something that uses current conversion rates to ensure they’re up-to-date. Don’t require too much from your customers. Many don’t want to give their personal information, even their email, to browse. Personal information can be compromised quickly, and some visitors err on the side of caution in this regard. Social interaction is beneficial if you want to use it, but sometimes people don’t want to use the messaging or socialization aspects of an app or site. Allow them to disable it for convenience sake, and you’ll encourage them to stick with your platform since it’s most customizable for their needs and wants. Looking for an Atlanta Digital Marketing Company?